These pages will give you an idea of the types of activities our branch and members participate in. If you would like to get involved, come to our next meeting. If you would like someone to speak to your class or group about the United Empire Loyalists, please contact the branch at kingston.uelac@gmail.com and someone will get back to you. 2018 Meetings – Other activities during the year include participating in the 2018 Kingston Heritage Fair, our Annual Banquet, and our Flag-raising on June 12th. 2016 Newman book launch – Noted author and historian, and long-time editor of Macleans magazine Peter C. Newman had just published a book on the Loyalists. He chose to launch it in Kingston. Our Branch and the Frontenac Heritage Foundation co-sponsored the event. 2011 Commemoration of John Stuart – The year 2011 marked 200 years since the Rev. John Stuart, first Anglican minister in Kingston, died. A celebration of his life and family was held which also drew attention to the work of the Lower Burial Ground Preservation Society. 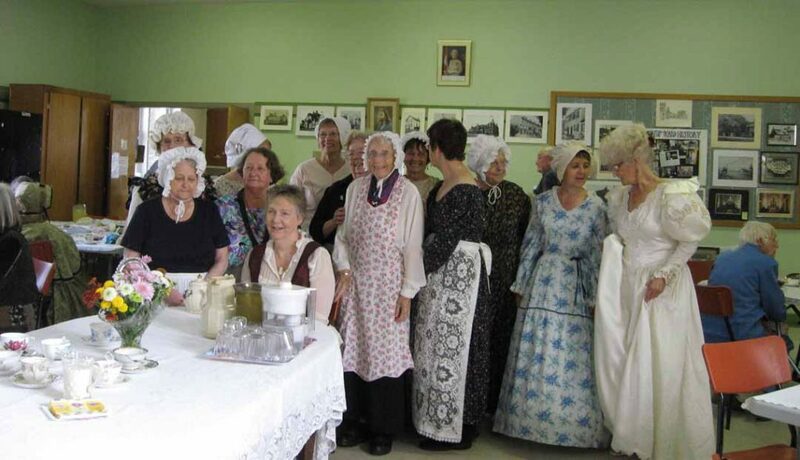 2009 Adolphustown Encampment – Folks dressed in their best period clothing. Boats landed. Soldiers marched. The UELAC Annual Convention was held here. A good time was had by all!